Life Insurance Awareness Month 2016 | First Financial Security, Inc.
First Financial Security believes that education is key to raising insurance’s profile during Life Insurance Awareness Month. This September, First Financial Security, Inc. joins forces with the non-profit Life Happens organization and other financial services companies across the country to celebrate Life Insurance Awareness Month 2016 (LIAM). 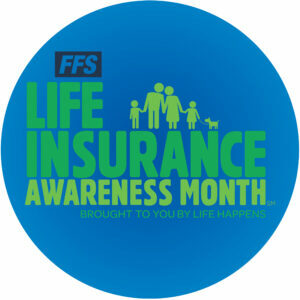 Throughout the month, FFS will roll out a program designed to raise life insurance’s profile. Through education, the company hopes to dispel the many misconceptions that surround the product. This lack of understanding has resulted in many Americans, regardless of their generation, putting the purchase of some or additional life insurance way down on their list of priorities.1 Instead, they often ranked saving for a vacation or paying the cable or cell phone bill, higher in importance than life insurance. First Financial Security believes education is the key to dispelling myths and changing perceptions about life insurance. FFS will push out information on its social media and company websites, as well as on its blog site, FinancialSecurityFirst.com. 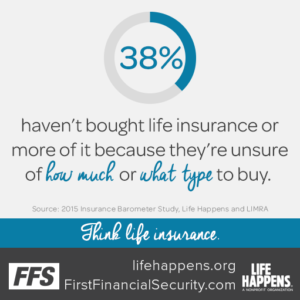 On the latter, FFS plans to post articles on a variety of life insurance-related topics – what is life insurance, how much it costs, how much is needed, etc. – each Tuesday and Thursday during the month. FFS’ dedicated social media campaign will also feature Life Hints, infographics, inspirational quotes, and informative pieces about and quotes from LIAM spokesperson, Danica Patrick. The professional race car driver shares that her belief in the importance of having life insurance started long before she sat behind the wheel of a car. Both of her parents lost their fathers when they were young. Neither father had life insurance, and Patrick’s mother’s family lost most of the family farm as a result. Her mother and father always had life insurance policies, determined not to let what happened to them to affect their own children. Patrick’s video will be posted on FFS’ company site, FirstFinancialSecurity.com. 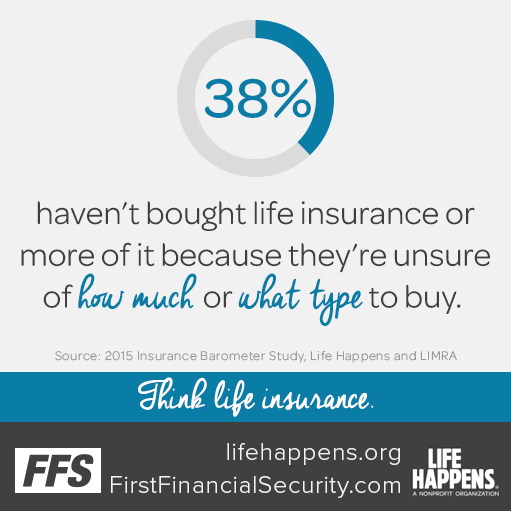 Life Insurance Awareness month is the perfect time for clients to take stock of their insurance needs. We’re encouraging our FFS independent financial representatives to meet with their clients to review existing policies. Have there be life changes that require the addition or subtraction of beneficiaries? Have their goals for the future changed – need to put three children instead of two through college; have an ailing parent that needs help; decide to retire early, etc.? Today, life insurance is so much more than simply a risk management tool. The more people know, the more they know they need life insurance. 1LIMRA News Release. 2015 Insurance Barometer study sponsored and released by LIMRA and non-profit Life Happens.